Join us for a high tea with Australian authors Julian Leatherdale, Nicola Moriarty and Kirsty Manning, who will be in-conversation about their novels, the writing process and their passions, interests and inspiration. A high tea of sweets, scones, champagne, tea and sandwiches will be served during the talk, and books will be available for sale and signing after the event. Come and meet Kirsty Manning and listen to her chat about her new novel The Jade Lily. Come listen to Kirsty Manning chat about her new novel The Jade Lily. Come and meet Kirsty Manning in her only Adelaide author talk about her new novel, The Jade Lily, set in Shanghai. Kirsty Manning will discuss the research and true stories behind her new novel, The Jade Lily, set in Shanghai. Join best-selling author Kirsty Manning in conversation with Brisbane blogger, author and stylist Nikki Parkinson (Styling You founder) for an evening of Asian street-food and drinks. They will discuss the inspiration and research behind Kirsty's new novel, The Jade Lily. Come and enjoy a delightful afternoon tea as Kirsty Manning chats about her new novel, The Jade Lily, set in Shanghai. Come and enjoy some green tea as Kirsty Manning chats about her new novel, The Jade Lily, set in Shanghai. 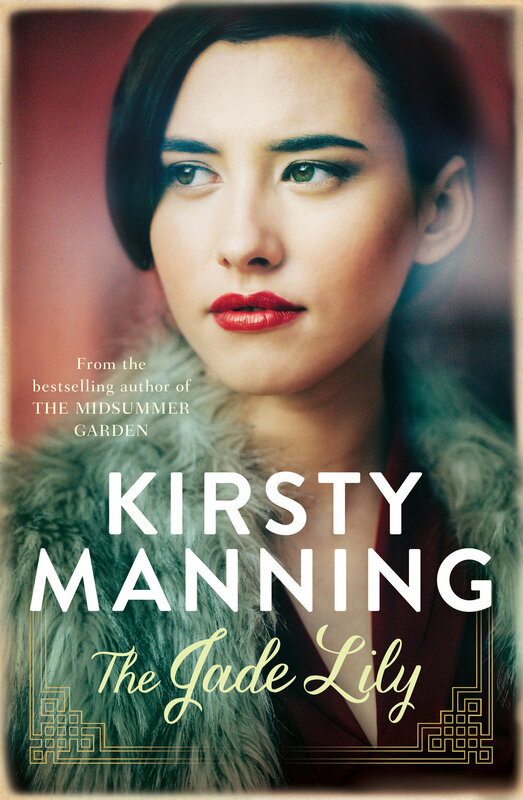 Enjoy a glass of bubbles and listen to Kirsty Manning chat about her new novel The Jade Lily. Come enjoy a glass of bubbles and listen to Kirsty Manning chat about her new novel The Jade Lily.